The Bauhaus was international from the beginning. 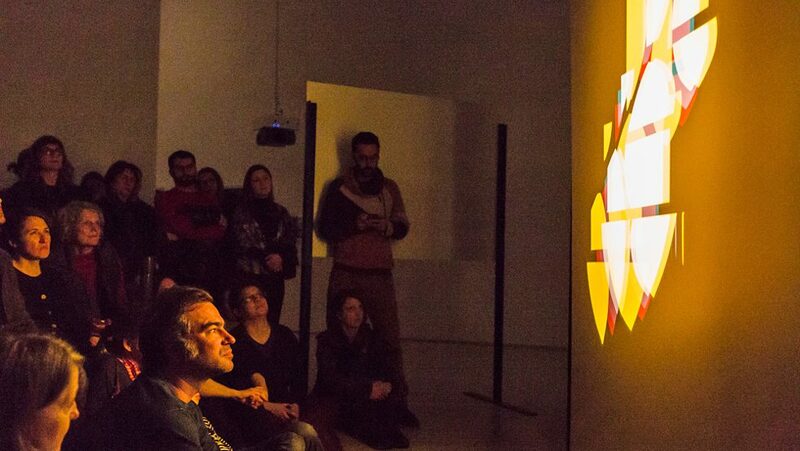 The institute had a lively dialogue with other avant-garde movements all over the world. 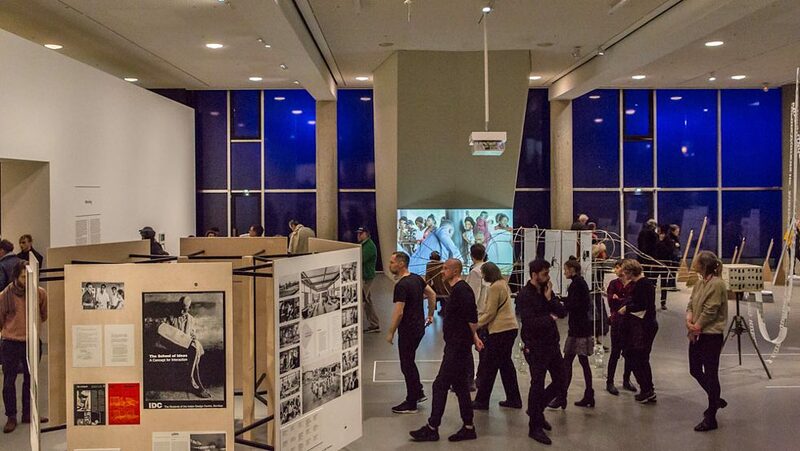 The bauhaus imaginista research project dedicates a large-scale series of exhibitions to these transnational relationships. 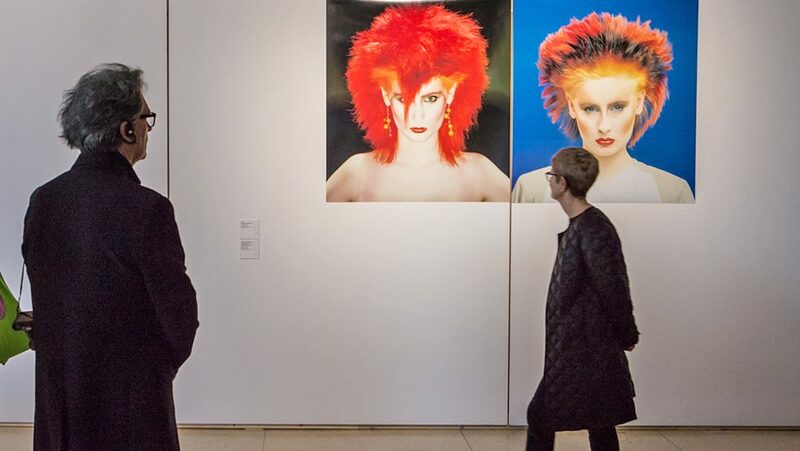 Since 15 March, the complete exhibition can be seen for the first time in Berlin. The Bauhaus taught for only 14 years. Founded in 1919 in Weimar, the institute had to close in 1933 under pressure from the National Socialists. However, its influence extends far beyond these 14 years – both chronologically and geographically. This is not only because many Bauhaus members emigrated and continued to work abroad. Even before that the Bauhaus was a place of transnational exchange. The "bauhaus imaginista" research project is now the first to dedicate itself to these relationships on a large scale. How strongly did the Bauhaus affect other cultures? How much was it influenced by other movements? These questions are at the centre of the exhibition, which can be seen from 15 March at Haus der Kulturen der Welt (HKW) in Berlin. 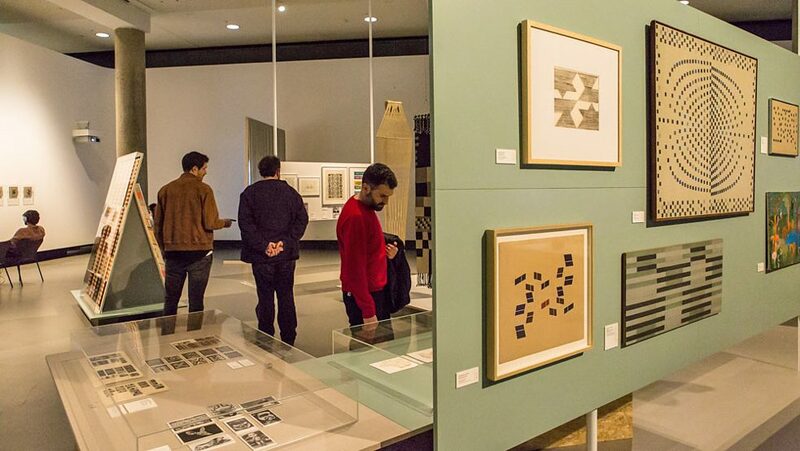 In addition, parts of the "bauhaus imaginista" exhibition will be shown at other Goethe-Instituts and partner institutions worldwide in 2019. 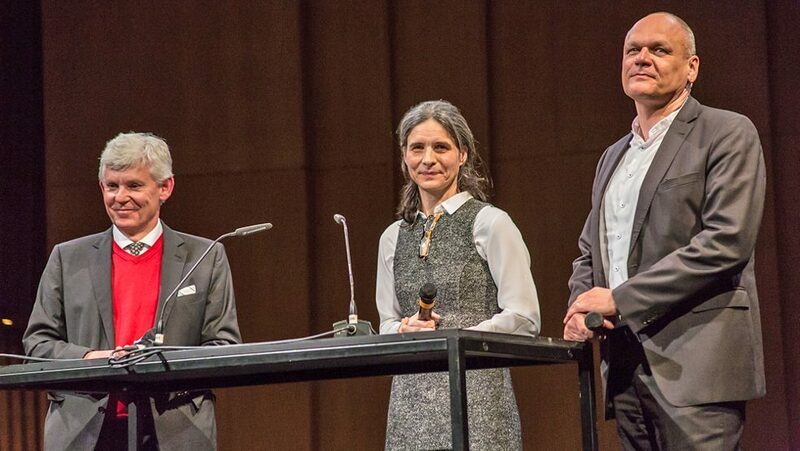 “The Bauhaus has played a role in the international work of the Goethe-Institut for years,” said Johannes Ebert, secretary-general of the Goethe-Institut, at the opening in the lecture hall of HKW. When the Bauhaus Cooperation approached him four years ago to plan a joint exhibition, it quickly became clear that a new focus had to be set, said Ebert. It should not yet again be about celebrating the works of the German and emigrant Bauhaus members. Instead, the exhibition would fulfil three criteria. 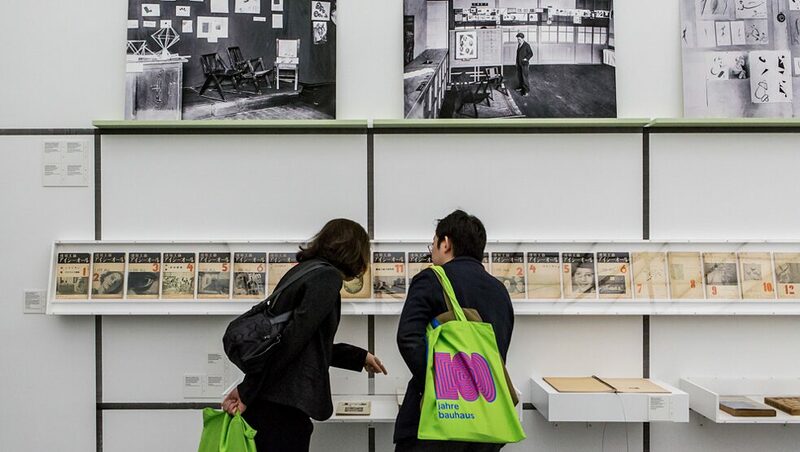 The first was to address the interactions between the Bauhaus and the world – based on an understanding of the Bauhaus as part of modernism, which “draws its ideas from transcultural encounters and the exchange of different cultures,” The second was to include the respective Goethe-Instituts on location along with their international network. 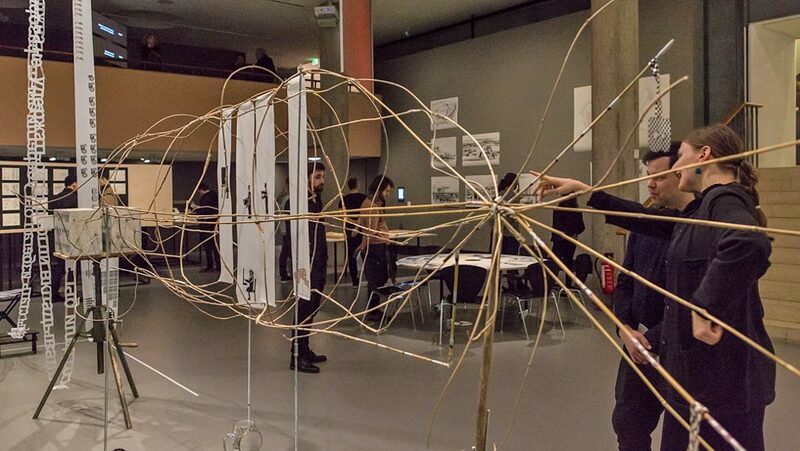 And the third was to not make it a large-scale, one-time event, but a series of exhibitions, workshops and symposia. It began in Rabat in March 2018 followed by Hangzhou, New York, Kyoto, Tokyo, Moscow, São Paulo, Lagos and New Delhi. 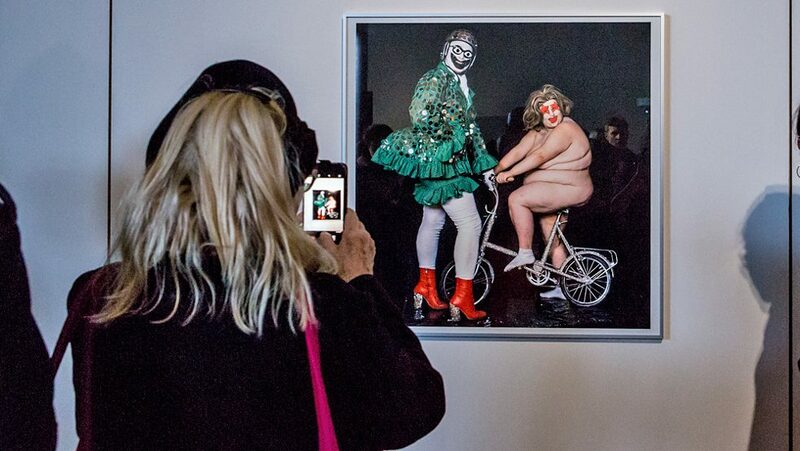 The series was curated by Marion von Osten and Grant Watson. The exhibitions have a uniform concept. Based on four Bauhaus objects – Walter Gropius’s Bauhaus Manifesto, Marcel Breuer’s collage a bauhaus film: five years long, Paul Klee’s drawing “Carpet” and Kurt Schwertfeger’s installation “Reflecting Colour-Light-Play” – various questions about the impact of the Bauhaus are discussed, each in its own chapter. At HKW all chapters can be seen together for the first time, each in a separate room. Corresponding With, chapter number one, is dedicated to interrelations with two other art schools that worked at the same time as the Bauhaus: the Kala Bhavana in West Bengal and the Shin Kenchiku Kōgei Gakui in Tokyo. Works by both institute founders as well as a sculpture by the Swiss artist Luca Frei can be seen. The juxtaposition of historical works and modern, specially produced works is part of the exhibition concept that runs through all chapters. "Moving Away", chapter two, explores the translation of Bauhaus debates into other cultural contexts. It negotiates, for instance, the question of how the design principles of the Bauhaus changed as a result of the migration of its members to the Soviet Union and to China. Chapter three, "Learning From", directs the focus to pre-modern craft production techniques. 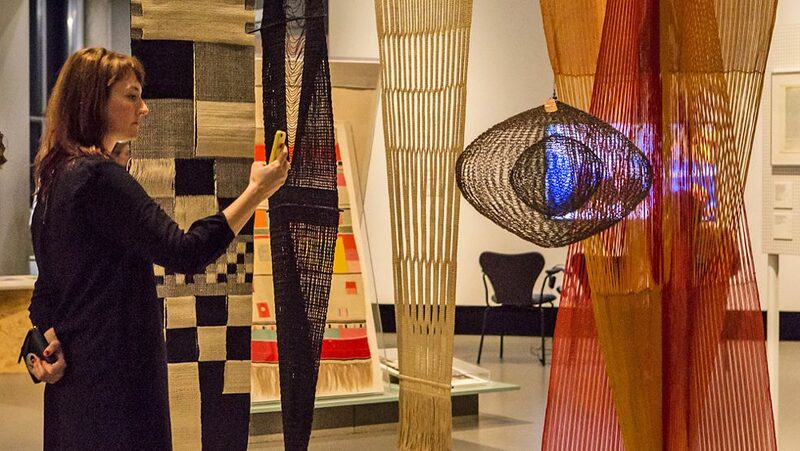 Indigenous knowledge and local manufacturing techniques had a major impact on the Bauhaus – and from there on the rest of the world. Finally, the fourth chapter, "Still Undead", seen for the first time in Berlin, explores experimental visual and audio works such as pictures, photographs and installations by Oskar Schlemmer and László Moholy-Nagy. 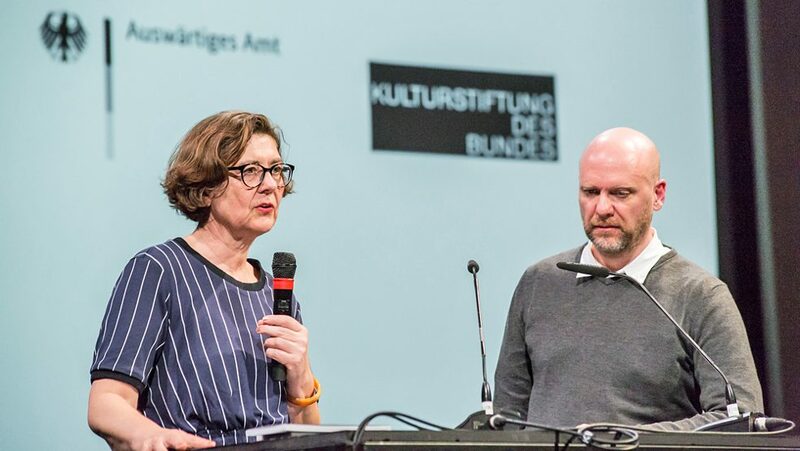 Claudia Perren, director of the Bauhaus Dessau Foundation, described the exhibition concept as “decentralised and international” and as more a “movement” than a “homogeneous, static exhibition.” It was important not to do research from Germany, but to go to different places and involve the people there. “Local co-curators,” she called it. Curator Marion von Osten confirms that. 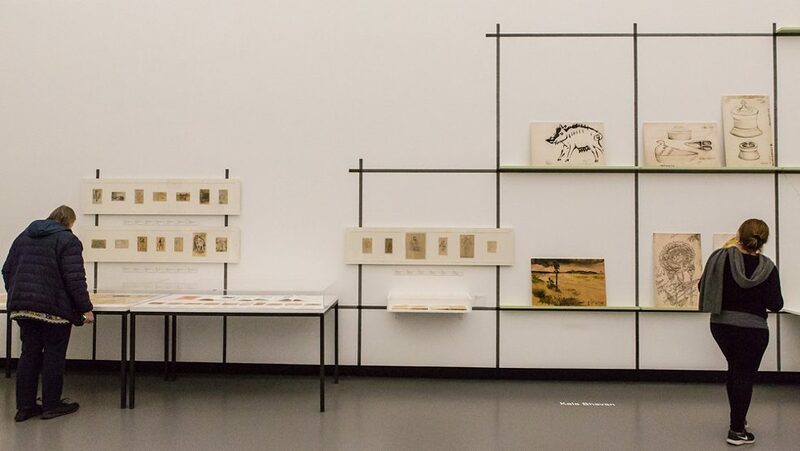 “Every society we came to,” she says, “had a different approach to the Bauhaus.” She spent about four years researching the project with co-curator Watson and around 20 academics. When asked whether the results can be summarised in one sentence, von Osten said, “If we understand the Bauhaus as a school in the world, it can no longer be told as a master narrative.” Visitors to the exhibition would find “another Bauhaus than they’re familiar with.” And that’s exactly what it’s all about: taking a fresh look at the Bauhaus institution. When the exhibition officially opened in the evening, the seats of the large hall were packed. The chapters are not the end of the exhibition, Secretary-General Johannes Ebert said on stage. From Berlin, "bauhaus imaginista" will move on to Berne and Nottingham and there will also be a smaller version of the exhibition. The artist Luca Frei is producing five copies, which can then be seen in 32 locations around the world. “We’re glad that we’re continuing with the project,” said Ebert.